The Golden Gate National Parks Conservancy is the nonprofit support partner for the Golden Gate National Parks. A membership organization, the Conservancy was created to preserve the Golden Gate National Parks, enhance the experiences of park visitors, and build a community dedicated to conserving the parks for the future. 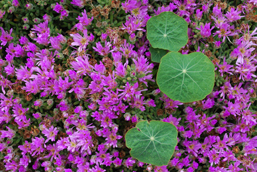 To become a member, phone (415) 4R-PARKS or visit www.parksconservancy.org. The National Park Service was created in 1916 to preserve America’s natural, cultural, and scenic treasures, and today manages 388 sites for the enjoyment of the public and future generations. 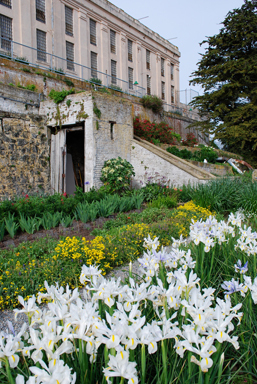 For information about the Golden Gate National Parks, phone (415) 561-4700 or visit www.nps.gov/alcatraz. The Garden Conservancy is a national nonprofit organization dedicated to preserving exceptional American gardens. 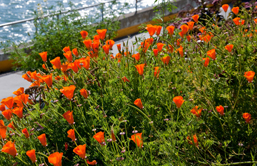 For more information or to become a member, phone the San Francisco office, (415) 441-4300, or national headquarters, (845) 265-2029, or visit www.gardenconservancy.org. The Northern California Society of Botanical Artists is an association dedicated to supporting botanical artists. We also wish to increase public awareness of this art form and an appreciation for historical and contemporary botanical art in the communities of Northern California. Our art form serves to help educate the public on plant diversity, regional plant ecology and the rationale for preservation of plant species. We are a regional chapter of the American Society of Botanical Artists (ASBA).